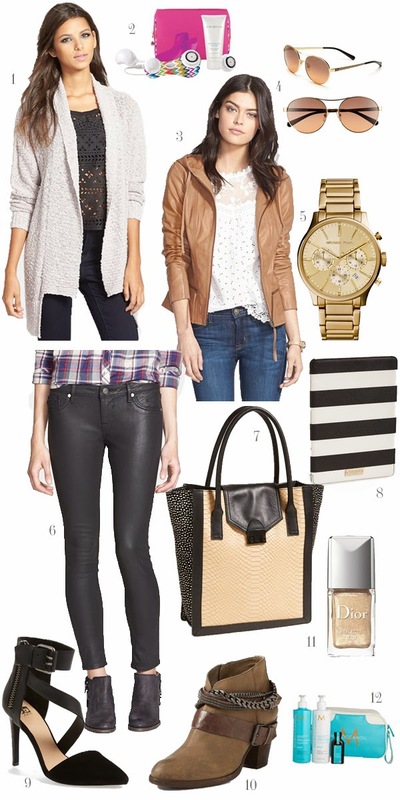 Okay, friends, the Nordstrom Anniversary Sale is in full swing and here is another week of amazing picks! I picked up a few favorites early but have already been having to hold myself back from doing some more damage because it is truly one of the best sales I've seen in a while! When you find these Coated Skinny Jeans for only $50 and these gorgeous Joe's black pumps for $50 off, you know it's a good deal! Also, for those of you who have asked about my hair and how I keep it healthy, the one thing I use every time I wash it is Moroccan Oil and I absolutely love their products, so when I saw this Moroccan Oil set on sale for the Nordstrom Sale I figured I better throw it in there as well! Ugh, I need this sale to end! So many great pieces this year. Literally Christmas in July!